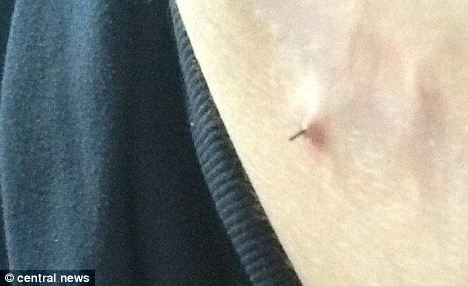 Pregnant mum discovers a metal pin emerging out of her pregnancy bump. Kelly Donegan, 26, from Milton Keynes in England who is due to give birth in six weeks, had complained to doctors about a pricking sensation on the left side of her stomach but was assured there was nothing to worry about. But one day she looked down to see the pin poking through her skin just inches away from her unborn baby. Kelly has discovered that the metal pin was left inside during an appendix operation she had in 2009. Doctors have assured here that her baby wont be harmed but they don’t know how much of the pin is still inside her because they cant give her an x ray for fear of harming her unborn child. ‘All they can do until then is trim the sharp end off it so it doesn’t catch on things. It’s horrible and it’s also quite sore. But there’s nothing I can do except wait,’ she says. 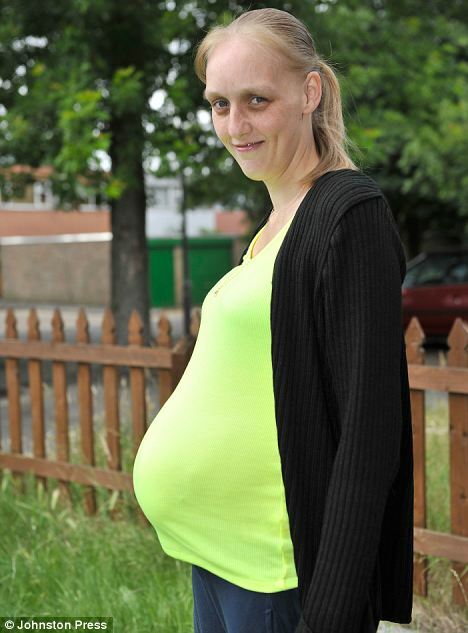 The doctors have told Kelly they will remove the pin after she has given birth.